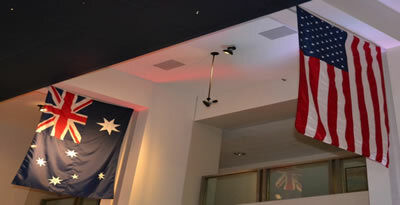 The Australian Ambassador to the United States has graciously hosted an Aleethia “Friday Night Dinner” since 2008. 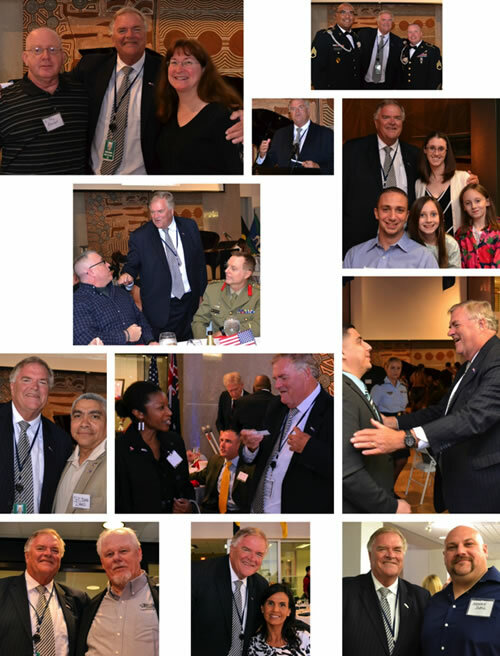 The Honorable Kim Beazley welcomed 80+ wounded/injured/ill service members and their families to “Aleethia’s Friday Night Dinner” at the Australian Embassy on October 17, 2014. 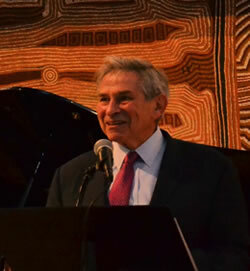 On behalf of the Aleethia Foundation and the wounded/injured/ill service members, Paul Wolfowitz, member of Advisory Board of the Aleethia Foundation, thanked Ambassador Beazley for hosting tonight’s dinner. Special guest, Barham Salih, an Iraq Kurd, who held senior positions in the government in Baghdad expressed his gratitude to the American Veterans who helped to liberate his country from Saddam. 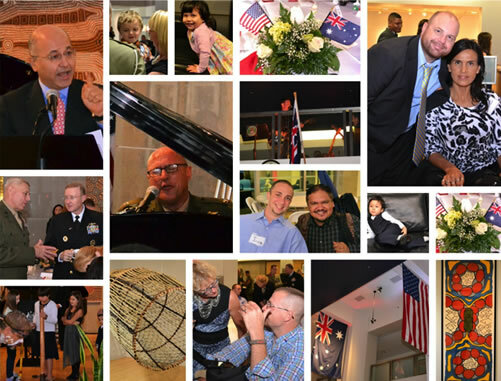 The wounded/injured/ill service members and their families enjoyed an evening filled with a wonderful dinner, a buffet of “Australian” sweets, gift bags filled with items from Australia for the service members and the children … plus the outstanding hospitality of the Aussies. An array of musical entertainment was performed by the “Savage Beer Garden” band, the unique sounds of a Didgeridoo provided by Cameron McCarthy from Australia’s Consulate General in New York and the evening ended with Col. Tomko, Commanding Officer, USMC Wounded Warrior Regiment at the piano and singing a special song. 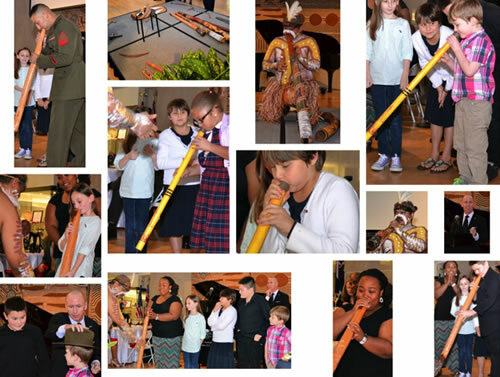 Cameron demonstrated the didgeridoo, a wind instrument developed by Indigenous Australians of northern Australia around 1,500 years ago. It is sometimes described as a natural wooden trumpet. Cameron’s ancestry is from the Kuku-Yalanji and Ba-Barum tribes of Northern Queensland. 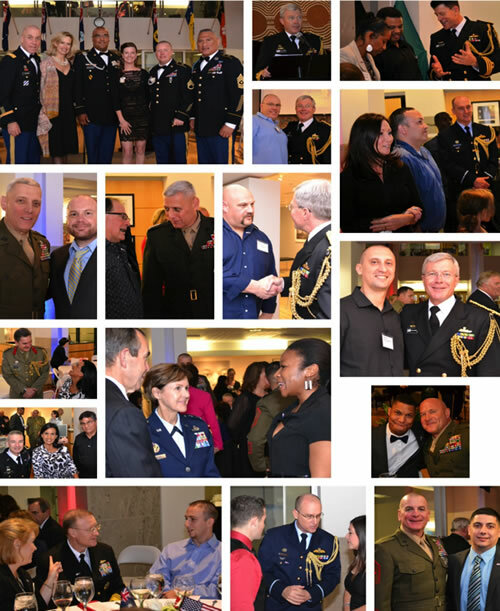 Ambassador Beazley met with every service member throughout the evening and presented each with his special coin. 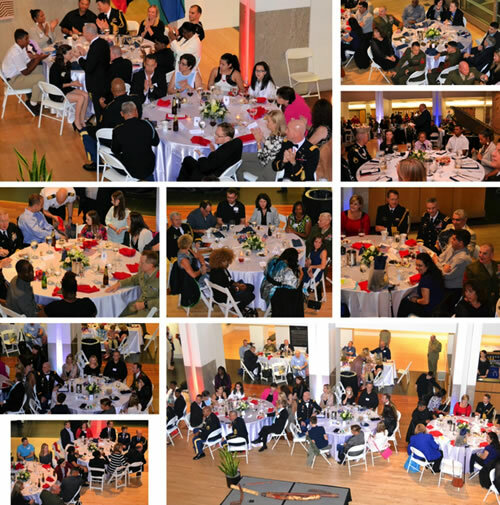 Several members of the U.S. Defense Department attended the dinner. 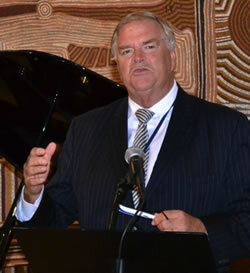 The Australian Defence Staff and Embassy Representatives served as table hosts. Specials thanks go to Lt. Col. Phillip Hills, Australian Defence Staff and Susan Cantwell for planning such an amazing evening. 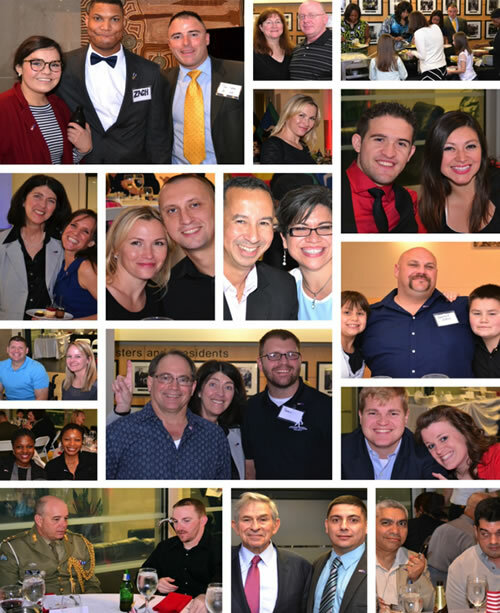 Also, we wish to thank the Embassy staff who volunteered to set up, greet, serve, assist and so much more to make this a relaxed and fun evening.